Old fashioned street lamps line the path to this hidden waterfront dining spot in National City. Docked on Pier 32 Marina, the Waterfront Grill offers affordable breakfast, lunch and dinner options with a serene view of the bay. Patrons can relax and enjoy the charming landscape filled with boats, sand, sun and water. What began as a deli nearly a year ago for local marina residents has expanded into a fine dining experience that now serves the neighboring communities of National City. Indoor and outdoor seating is available, including a deck and umbrella covered tables for those outside. An area of sand and wooden beach chairs is nearby for those who want linger after their meal. The restaurant will also accommodate large groups, parties or a private romantic dinner for two by the beach. Waterfront Grill Chef Adam Glick described the restaurant's menu as "American regional cuisine with an ethnic twist." And all menu items are priced less than $10. Early morning risers can stop in for breakfast or take it to go on their way to work from 7 to 11 a.m. One can build their own omelet, and it is served with breakfast potatoes or toast for $5, or choose other breakfast favorites such as buttermilk pancakes, toasted English muffins or bagels and cinnamon French toast. All breakfast options are $3 to $7. Those who stop in for lunch or dinner have a variety of appetizers, signature sandwiches, salads and homemade soups, desserts and wines to choose from. Sandwiches are served with garlic fries or a side salad and range in price between $5 and $9. Coming soon is a new dinner menu to include chicken parmesan, grilled pork chops and more. In the meantime, other tasty options include the chicken tortilla soup, which is made with cotija cheese, cilantro, crème fraiche, scallions and tortilla chips for $5. The Waterfront organic mixed greens salad is made with shallots, candied pine nuts, citrus wedges, cherry tomatoes, carrots, parmesan cheese and house vinaigrette. All salads are $6 to $7 and come with the option of adding chicken, steak or grilled shrimp. The Waterfront Grill also offers a daily happy hour from 3 to 6 p.m., with half-priced appetizers, $2 domestic beer and $4 house wine. Beginning on Mother's Day, May 9, people will be able to enjoy Sunday Champagne brunch from 8 a.m. to 2 p.m. To celebrate Mother's Day, ladies will be given a flower, courtesy of the restaurant. Patrons will pay $15 each and have a delectable breakfast buffet to choose from including an omelet station, pancakes, toast, fresh fruits and cookies. The Waterfront Grill will also be offering $2 mimosas during brunch. 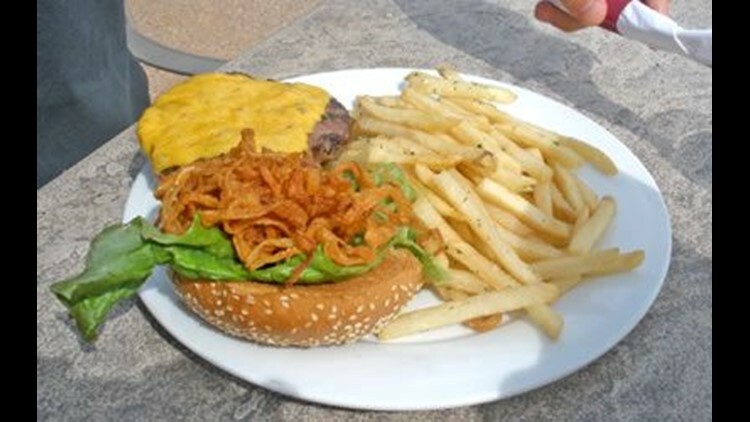 For pick-up service, one can order online at www.mywaterfrontgrill.com or call 619-718-6240. For those wanting a unique and affordable seaside dining experience, the Waterfront Grill is open seven days a week from 7 a.m. to 8 p.m.